Isn’t it nice to sit on a beach burying your feet in the warm sand, take a dip in the ocean or just relax with a book while letting your skin get that glowing tan that seems to make you look younger and slimmer? Isn’t it what we all wish for when we think about summer vacation? The summer is not the same without a beach vacation after all. If that is the case for you, then put Los Angeles on your itinerary. With more than 15 beaches spread out along the Pacific Coast Highway, the city will completely satisfy your thirst for a good summer vacation and leave you recharged until the next time. So let’s check some of the most popular beaches in Los Angeles area. Located 10 miles away from Malibu, this small but incredibly beautiful beach will impress even the most experienced vacationers. 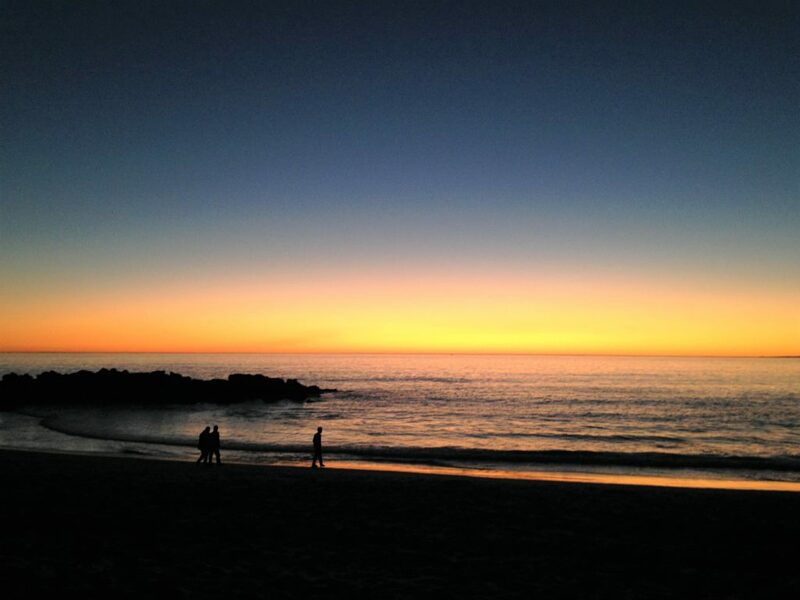 Rocky shores, sea caves and the clearest water in Los Angeles make the beach one of the most romantic places to watch sunsets. Steep stair trail leads all the way down to the mostly rocky beach, which, however, still has plenty of sand for sunbathing and building sandcastles. This is the beach like no other places. You don’t need to bring your beach umbrellas or tents here to avoid too much sun explosion and bad sunburns afterwards. The sea caves provide plenty of shade and serve as shelters against the wind during the bad weather. 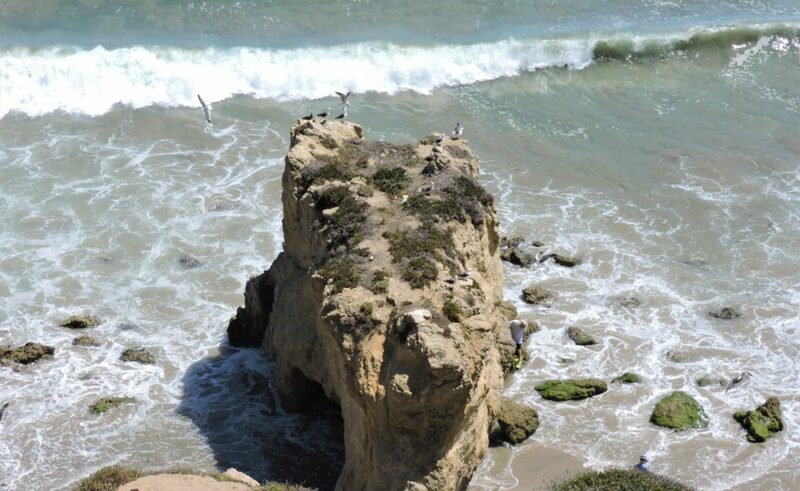 The cliff itself offers the most astounding view from above overlooking the whole beach with its large rocks and robust waves. This is the beach to fall in love with from the first sight. 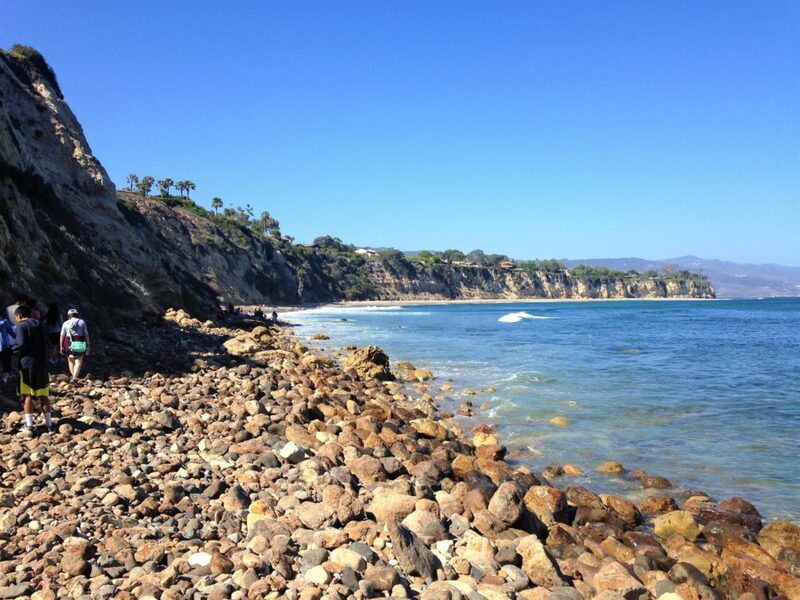 Point Dume State Beach or simply Point Dume is better known for Point Dume Nature Preserve. Getting to the preserve can be quite a hike. Gradually ascending sandy trail starts at a blind alley and goes all the way up to a viewing platform with a scenic view over Santa Monica Bay, north Malibu Coast, Santa Monica Mountains and Catalina Island. Halfway to the top of the preserve, on its east side, a steep stairway attached to the cliff opens access to Point Dume State Beach. The rocky beach with narrow headlands, cliffs and coves is great for swimming, surfing and scuba diving. A few single pitch rock climbing routes make it an attractive place for novice climbers. If you are a wildlife enthusiast, make sure to come here between December and mid April to watch California Gray whales migrating south to mating and calving lagoons of Mexico. 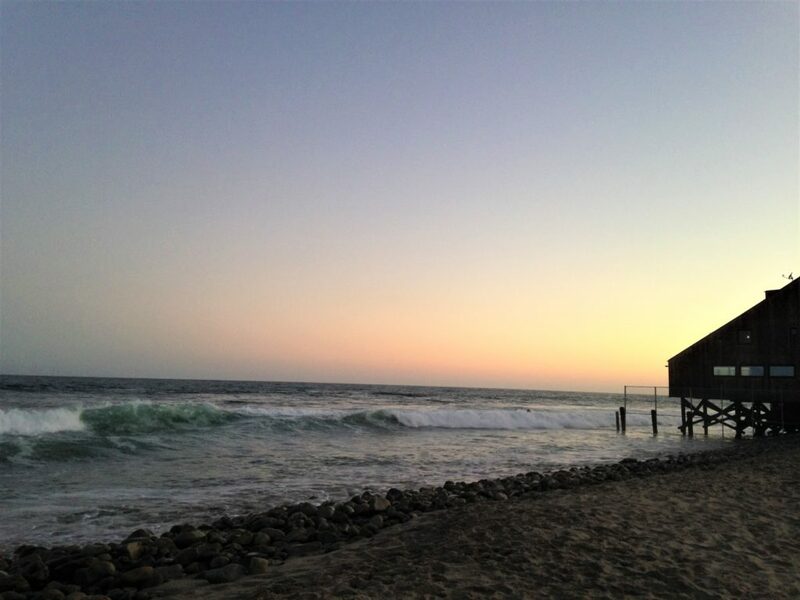 The popular surfing spot is located between Malibu Pier and Malibu Lagoon and is a part of Malibu Lagoon State Beach. 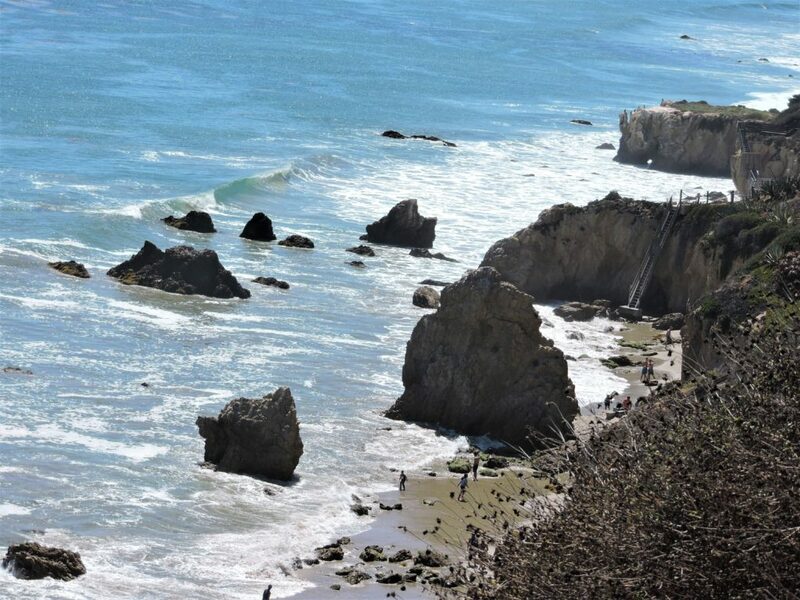 As its name suggests, Malibu Surfrider Beach is the best place to jump on the surfboard and ride those perfect waves. Even if you are not excited about conquering the waves, you will still enjoy the beach as much as the surfers do. 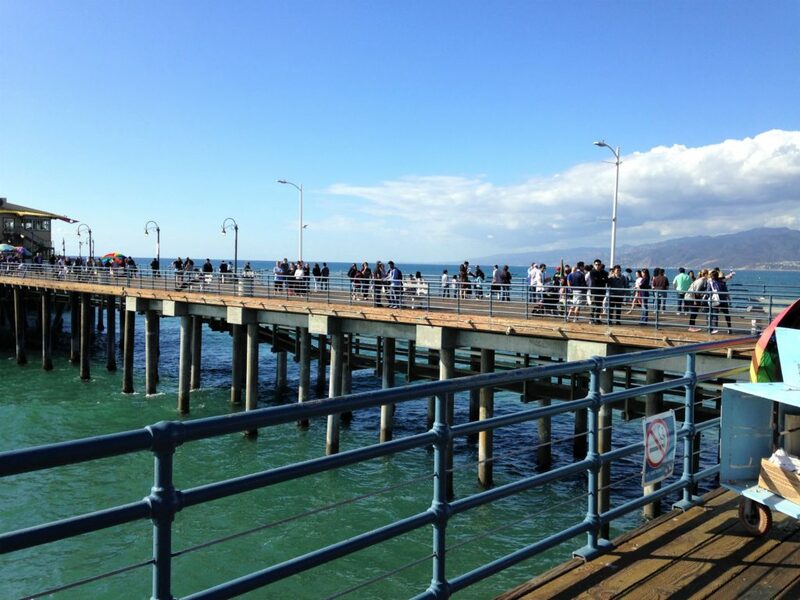 Head out to the Malibu Sport Fishing Pier where you can relax on many benches and admire astounding views. Volleyball court close to the pier will give you an opportunity to team up with other beachgoers and let the volleyball “party” start. Isn’t it a great way to meet new people? Definitely, yes! 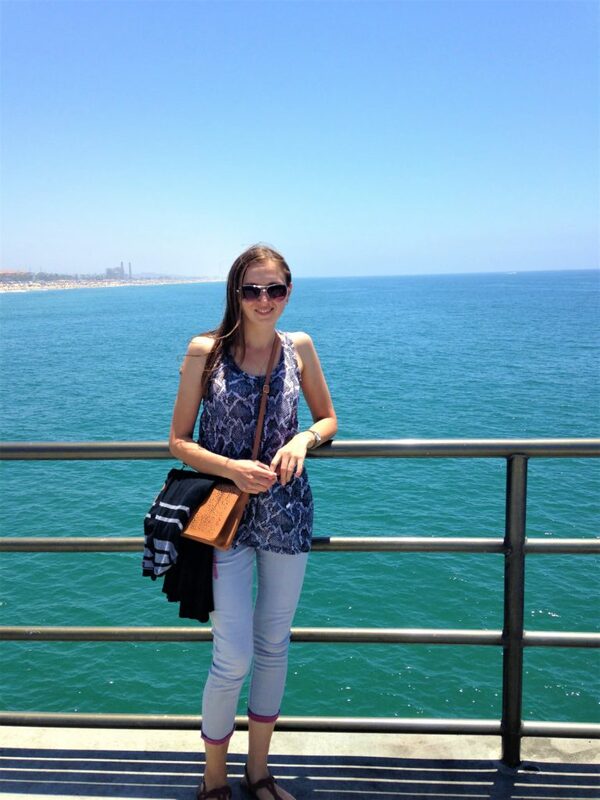 Santa Monica Beach is one of the favorite beach destinations of every newcomer to L.A. Not surprisingly, it’s the busiest and one of the largest beaches in the city. Extended over 3.5 miles, the sandy beach offers plenty of space for everybody to indulge in such beach activities as sunbathing, playing and taking a walk along the shore line. Volleyball players will be pleased with abundance of the volleyball courts working on first-come, first-served basis. If nothing of mentioned above looks appealing to you, then try to rent a bike (or bring your own) and cycle on the Marvin Braude Beach Trail. The paved trail is 22 miles long and goes all the way to Torrance County Beach. Santa Monica Pier, the landmark of the beach and the city itself, will welcome you with an amusement park, aquarium, restaurants and small gifts and food stands. Different kind of street performers will entertain you on your walk through the pier. So let’s have fun and absorb good vibes of Santa Monica Beach. Venice Beach is the second favorite beach (after Muscle Beach) of bodybuilders. Nowhere else in Los Angeles will you see such a large concentration of these athletes in one place. You might be surprised to learn that actor and former governor of California Arnold Schwarzenegger was spending a lot of time at Venice Beach during his bodybuilding career. 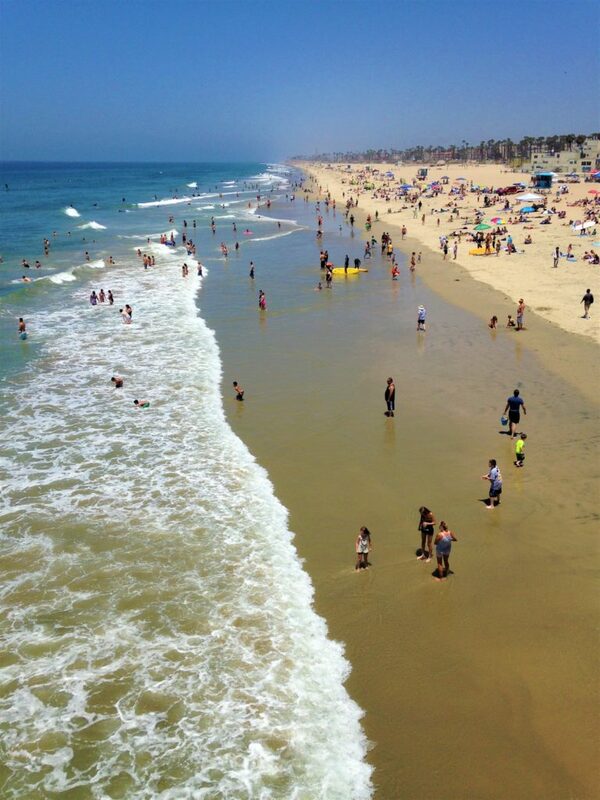 Huntington Beach, often referred as “Surfing Capital of the World”, is a dream destination of every surfer. Every year the surfers from all over the world come here to participate in the world surfing championships. High waves, perfect weather, salty water… What else do you need for surfing? Another landmark of Huntington Beach is its famous Huntington Beach Pier, one of the longest piers on the West Coast. 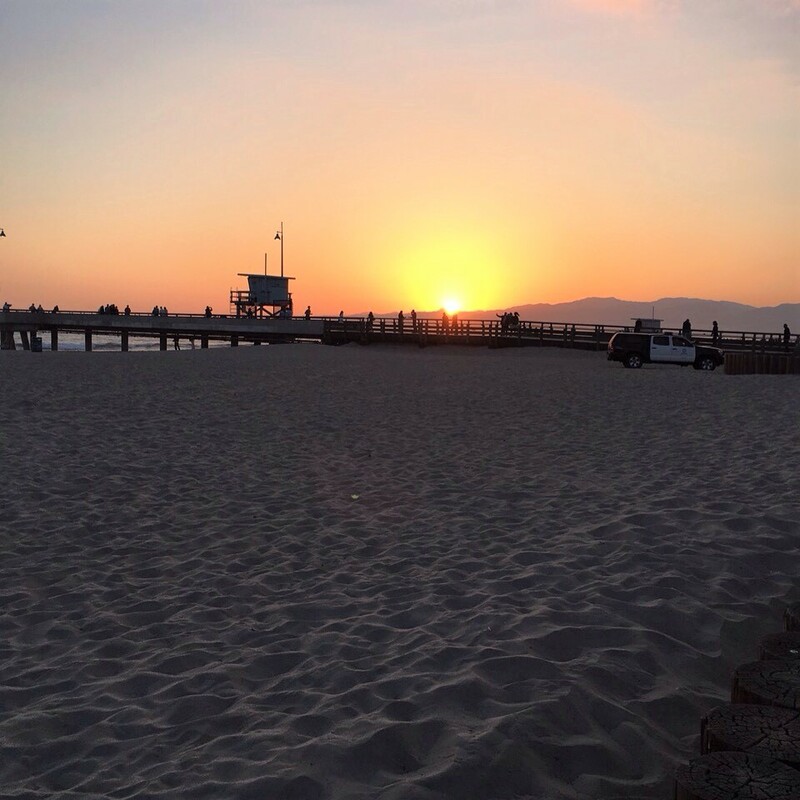 The pier is a great place for strolling, watching the surfers and volleyball players (the volleyball courts are located right near the pier), fishing, enjoying sunsets and sunrises. Bikers, runners and walkers take full advantage of the Huntington Beach Bike Trail, a paved path behind the beach. With such a variety of activities, Huntington Beach won’t leave any of its visitors feeling bored and disengaged. I love summer, and I enjoy spending time at the beach. Sun, warm weather, ocean, flesh breeze!.. Just thinking about it raises my spirit. Have you ever experienced the same? If so, which is your favorite beach? I’d like to hear from you. Nice work, great effort. KEEP UP THE GOOD WORK! Thank you, Roshan! It’s so nice of you! Decent work, extraordinary exertion. Keep doing awesome!